The main problem I have with camping is that something will always end up biting me, bugs, fleas and maybe sharks!!! OK that last one isn’t very likely, but it would be if you have this rather scary looking “Shark Attack” sleeping bag. And that surprise it a sleeping bag that makes it look like a Grizzly Bear has eaten you while you slept! Although it has to be said that this one would probably keep you quite warm and cozy inside due to the fur effect. Why? Why-o-why would you want to own this, let alone sleep in it! Well despite how strange it really is I just had to include it because it is one of the most unusual sleeping bags you will ever see, and to be honest I do think it is quite awesome as well. But lets just say you have decided that this Ice Planet they call “Hoth” was the perfect place to camp!?! Well if you did you might well need this sleeping bag that is made to look just like a Tauntaun! It comes with saddle, internal intestines and glow in the dark lightsaber zip pull, and as a bonus you can use the creature’s head as a pillow! Are you dead tired after a hard days camping and sending 4hrs putting that 90 person tent up? Well this just might well be the sleep bag for you because it makes you look like you are in fact a corpse! Strange one for sure, but it might get a few laughs. Now this is rather cool, this handmade Lego sleeping bag just brings a smile to the face and makes for a great talking point, but I do have to wonder just how comfortable that Lego brick pillow is. 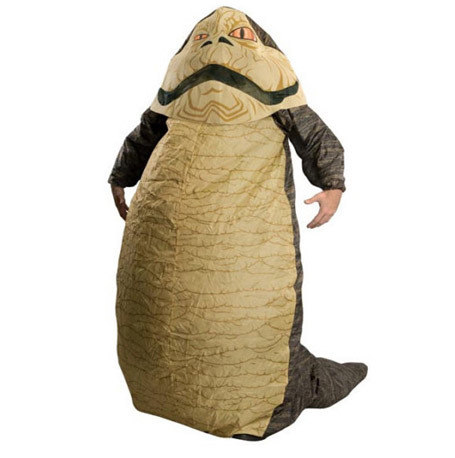 What better way to hide from all the bounty hunters, smugglers, assassins and bodyguards out there than inside this rather comfortable looking Jabba the Hut sleeping bag! Apparently it was supposed to be sold as a costume but was later re-marketed as the sleeping bag you see before you. Maybe this camping thing isn’t too bad after all! WIN! That is how I feel about this amazing Pizza slice that is in fact a rather comfortable sleeping bag with the “crust” being a rather comfortable looking pillow! I am was ever to go camping it would have to be in this for sure!